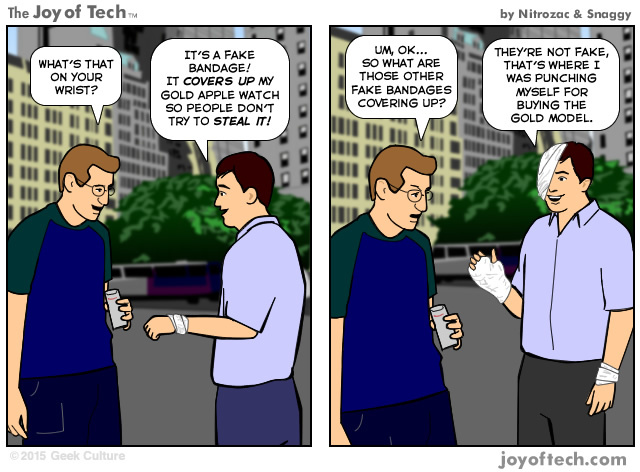 The Joy of Tech comic… Apple Watch cover up. When you buy something, then you realize you shouldn't have, what's your reaction? Do everything I can to return it. Just shrug it off and put it down to experience. Try to pawn it off on one of my friends. Try to sell it on Ebay, Craigslist, or Kijiji. Try to convince myself it was a good thing to buy! 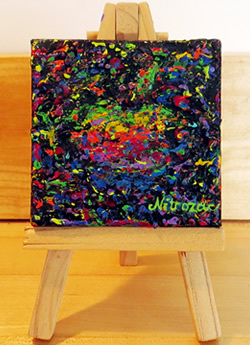 Nitrozac shares some iPad drawings, ... Snaggy is drawn to Rainbow Gravity, ... and speaking of physics, a higgs boson enters a church, ... and dragonman97 sees the new MacBook and it's Boo hiss...*swoon* ? 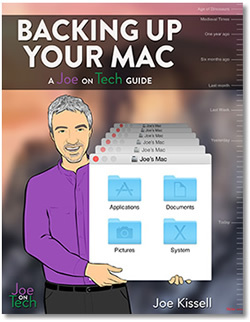 you need Joe Kissell's book!